After years as believers, we can come to find the Christian life too complicated, our zeal diminished, and our relationship with Jesus grown cold and predictable. 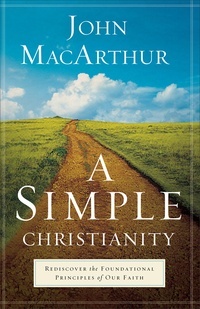 Award-winning author and respected pastor John MacArthur reminds readers that what’s been lost can be found again. This practical tool will help Christians restore the fire and conviction of their first love for Christ by helping them better understand His character, His glory, and His love for them. MacArthur counsels all who want more love for Christ to pursue Him by making Christ their focus each day, in every activity, in every contact, and in every thought.